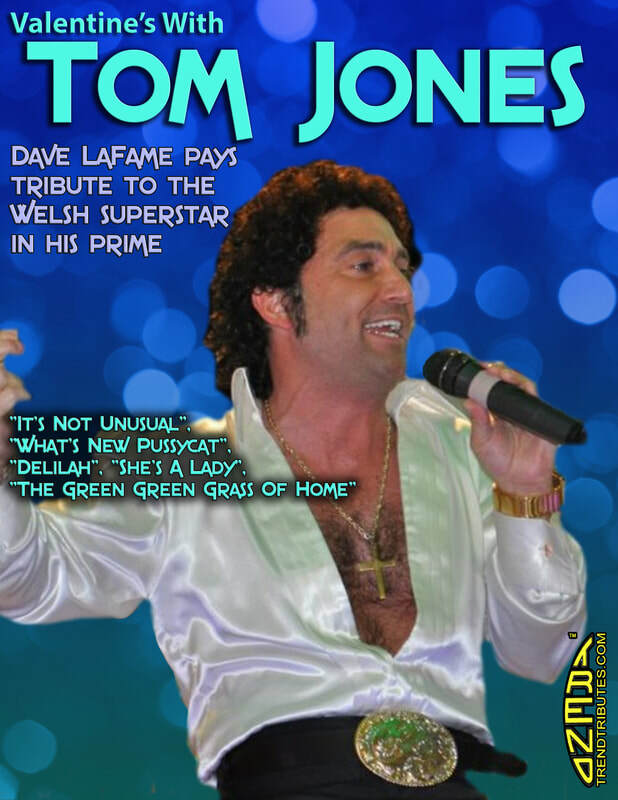 From the initial notes of his opening set to the final bow to his adoring audience, Dave La Fame’s Tom Jones tribute show captures perfectly the glamour, excitement and sizzle of one of the entertainment industry’s brightest stars. into a successful career onstage, moved to Canada and eventually built up a successful career as an actor, singer and bass player. He amassed numerous credits on television, in film and on stage. including the 2012 Las Vegas Celebrity Impersonators Award for top male entertainer.